Thursday marks two years since the city of Greenacres officially merged with the Palm Beach County Sheriff’s Office to take over police services for the city. The question is, are the streets any safer? On February 1st, 2016, PBSO took over police services for the city, for what used to be the Greenacres Police Department. “I felt that our city couldn't invest financially into what our law enforcement at that time needed,” said Councilwoman Judy Dugo. Dugo was 100 percent behind the merger from the get-go. She claims the decrease in crime proves it was a good decision. “Shootings in 15 they were 26, in 16- 13 and in 17- 10,” said Dugo. In fact, the numbers show a decrease in crime across the board. 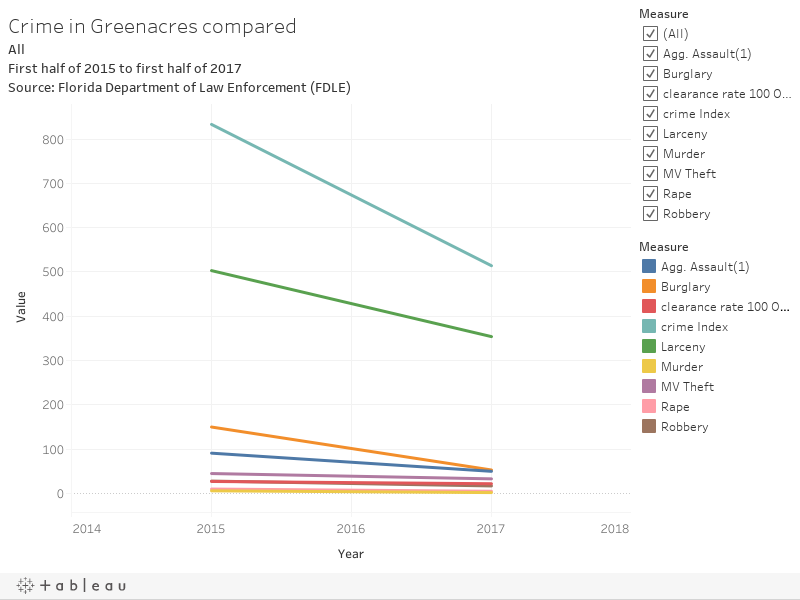 Burglaries, robberies and sexual assaults, just to name a few, have all decreased by more than 30 percent over the last two years. "There was an immediate reduction in a lot of the crime that was out there,” said PBSO Sheriff Ric Bradshaw. Bradshaw says part of that success boils down to this: “It's all about resources and being able to put enough people in an area to address that because when you do a merger like that all the resources of this agency become their resources." However, not everyone sees the added benefits. “I feel that PBSO is doing a fine job, but then again I felt the same about the Greenacres police,” said Maria Willever a longtime Greenacres resident. For those like Dianna, the cost is already paying off. “I think it has made a difference,” said Bravo. The current contract takes the city through 2021. That's when both sides can come back to the table to renegotiate those cost increases.